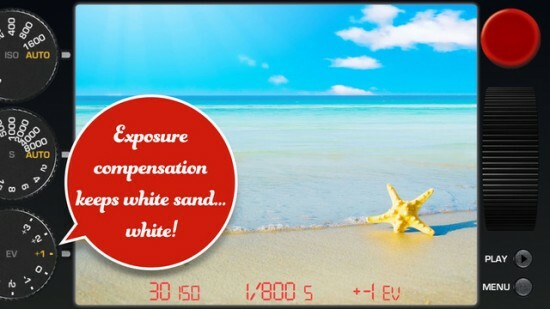 Looking for a free iPhone camera app with the look and feel of a professional manual camera? Red Dot Camera is the first camera app to bring rangefinder-style manual focus and exposure features to iOS, taking creative mobile photography to the next level. Inspired by the retro craftsmanship of the classic Leica M camera series, Red Dot Camera brings your images to life with unrivaled quality and without the interference of gimmicky filters. Featuring four basic settings - ISO, Speed, Exposure Compensation, and Focus - Red Dot excels in delivering a retro photography experience coupled with exceptional image capture quality. 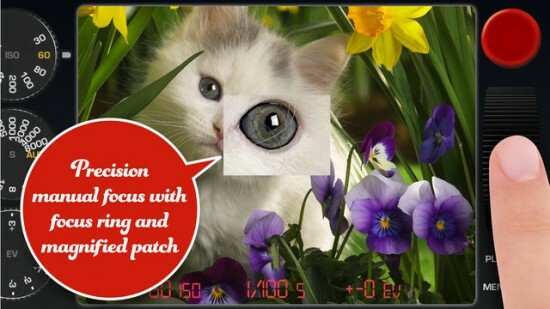 Focus in with precision using a magnified patch at the center of the viewfinder to capture the perfect image. High ISO settings generate more image noise. 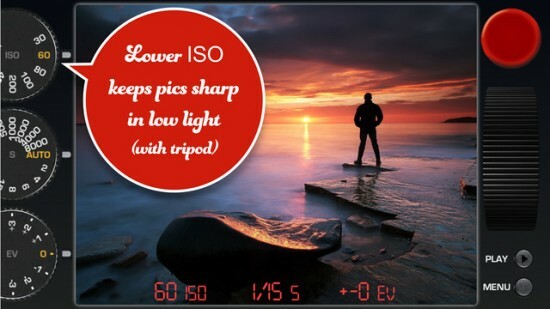 By letting you set the ISO value manually, Red Dot Camera allows you to capture sharper and clearer images. 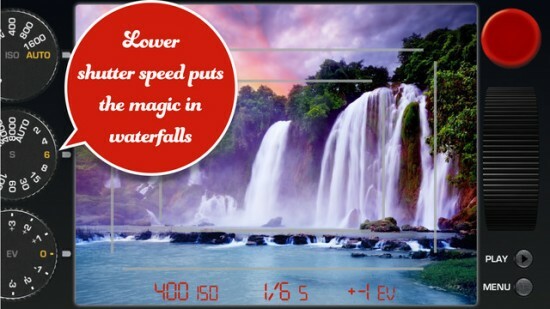 Adjust the shutter speed manually to achieve the effect of longer exposures (car headlights, water, etc. ), or to capture shots of fast action. The iPhone lens has a fixed focal length of 28mm, but Red Dot Camera shows frame lines that simulate those of a 35mm and 50mm lens, just like the Leica M rangefinder. Take a group picture or self-shot by setting the auto-timer to one of three countdown settings. Switch to black and white and capture your image in classic coloration. The only difference between this free Red Dot version and Red Dot premium is a logo applied to the corner of each one of your pictures. So go ahead and download Red Dot Camera free, and if you love the experience, simply upgrade in-app and start sharing and archiving your snaps without the watermark. Whether you’re a creative camera enthusiast or a photography student, you’ll be amazed at how Red Dot Camera enables you to take sharper, better-exposed, professional quality photos from your iPhone. 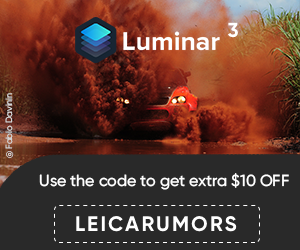 Download Red Dot Camera free and start using your iPhone to shoot the way legendary photographers like Henry Cartier Bresson, Elliott Erwitt, Diane Arbus, and Walker Evans did with their Leica cameras. Link to the paid version of this app. 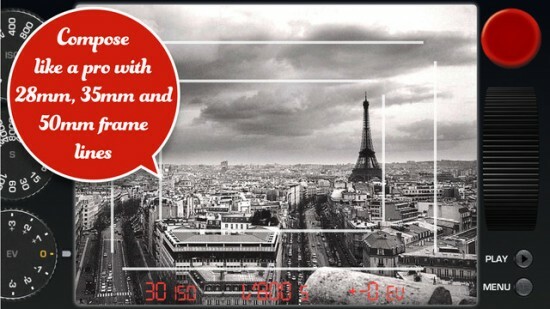 This entry was posted in Other Leica Stuff and tagged Apple, iPhone. Bookmark the permalink. Trackbacks are closed, but you can post a comment.